Sadik Kwaish Alfraji’s large scale stop motion video animation, Ali’s Boat will be shown at the British Museum on 12 July 2015 as part of the Shubbak Festival 2015. The projection of Alfraji’s work, which materialises the artist’s memories of a Bagdad that no longer exists, ties in with the festival’s program of talks exploring the architectural alterations, heritage transmissions, and consumerist impacts on contemporary Arab cities. 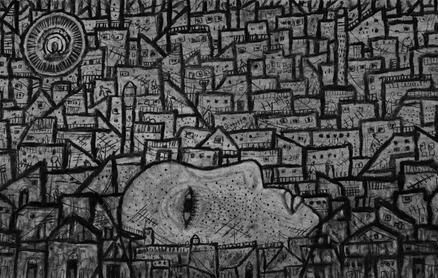 Under the title Disappearing Cities of the Arab World, the program brings together a variety of artists and art professionals, including Ali Cherri, Mohamed Elshashed, and Jananne Al-Ani.